Teams keep a running total of repetitions. 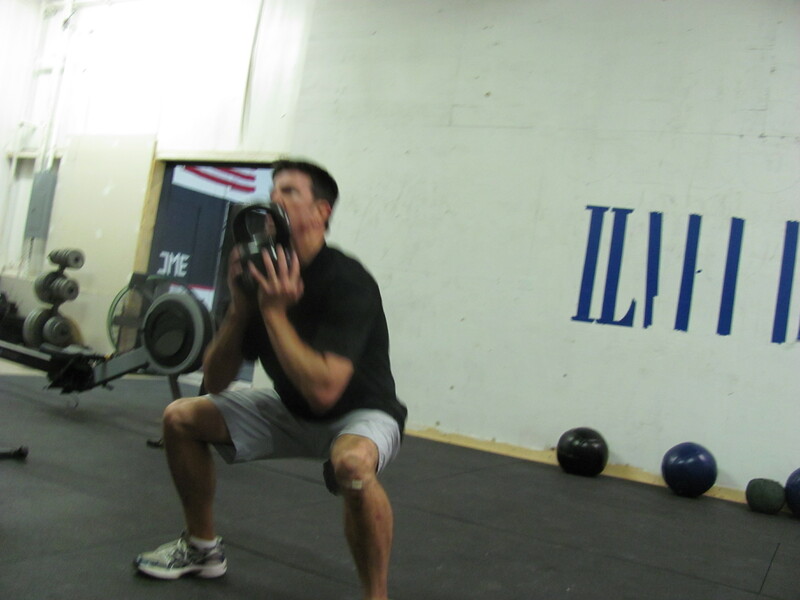 (-1 second from finishing time for every 2 reps). Athletes should keep in mind that while it’s tempting to pick the rowing or running based on what is easier that their team mate will pay the price if they choose the slower. David plus a few new scars from his mountain bike vacation, teamed up with Johnathan for a bar setting 6:29. Tara swinging for the fences. 5AM Partnered with Linda 8:14 w/ deductions. Great job Linda!! 8:30 Partnered with Tracey 8:4? Sorry Tracey, I held you back on this one, you were flying! You rocked this morning!!!! 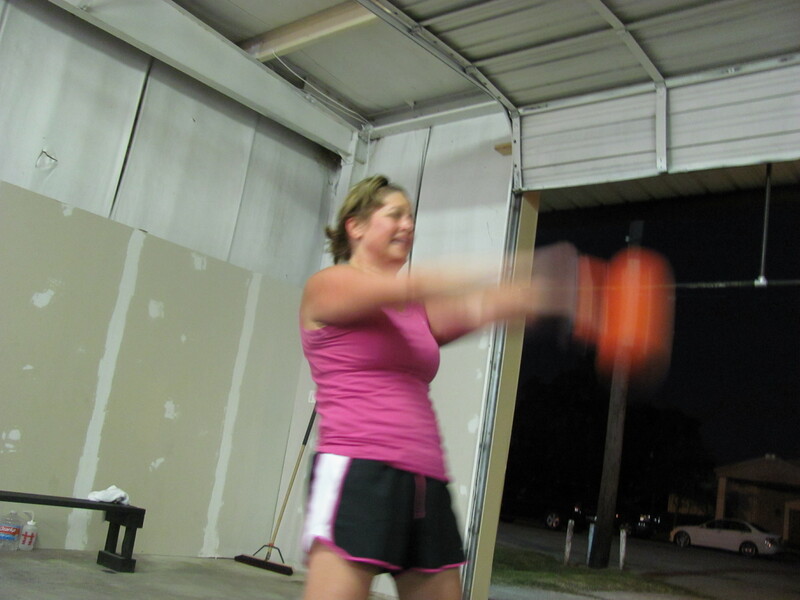 Thanks for stepping up to the plate and partnering with me so that I could do the WOD! Our time was 8:34!!! I think that’s pretty darn good considering that it was your second time around!!!!! Went w/running & KBs. I know it’s unique to each person but I still think that an even half-decent runner can do 200m faster then they can row 250m. Amen my running brother! preach on. I will have to opt for rowing because it is my nemesis and I’ve been told that I must slap my nemesis every time I get the chance. I had to cut the workout short so I could get to my day job. DL stopped at 375. Not sure what it is but some days I kill the DL and some days I feel like gravity has increased 19.2 m/s squared. I hate to run, my slowest time on rowing 250 was :54 seconds. Probably would have been close to the same running? Well it was our first day back after almost 2 weeks. Needless to say we will not be taking 2 weeks off again. The gas tank got a little smaller or maybe it was all the non Paleo food we ate while on vacation.